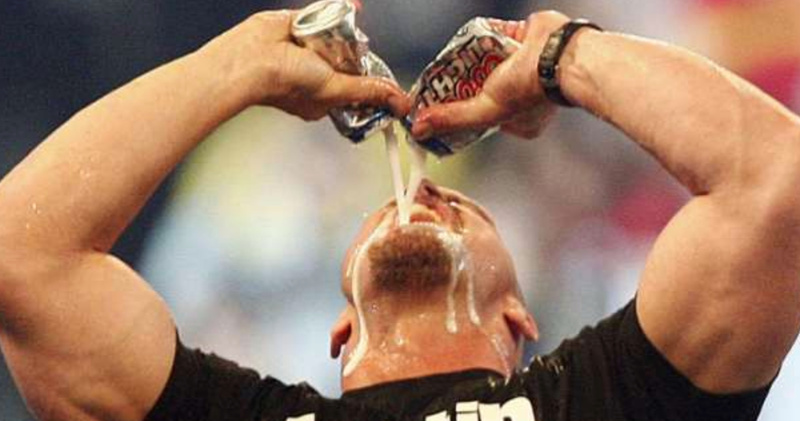 Did you get a little too “beer drunk” last night? Don’t worry, we’ve all been there. While we don’t condone over-consumption of alcohol, drinking too much beer can bring out a version of us we just can’t explain and we know you can relate. There’s a game on and you don’t cheer for either of the teams, but your friends are begging you to come out. Go, have one beer, and then leave! You’ve even announced in the group chat, “Ok, but I’m just having one!”, so it’s official! That feeling when you’ve finished guzzling down you’re third beer and it hits you. A little bubbly in your tummy. Now you’re really regretting not wearing sweatpants to the bar. Don’t worry though, the music is so loud nobody will hear the beer burps and toots coming from your end of the table. You’re now so drunk that you’ve randomly started talking with a British accent. Or are you trying to be Australian? Whatever you’re saying, it sounds ridiculous. And if you’re thinking, “I’ve never done this! That’s silly!”, you’re lying. It’s ok, you’re secret is safe with us. Being beer drunk and wine drunk are both character-building experiences, but the difference is uncanny. 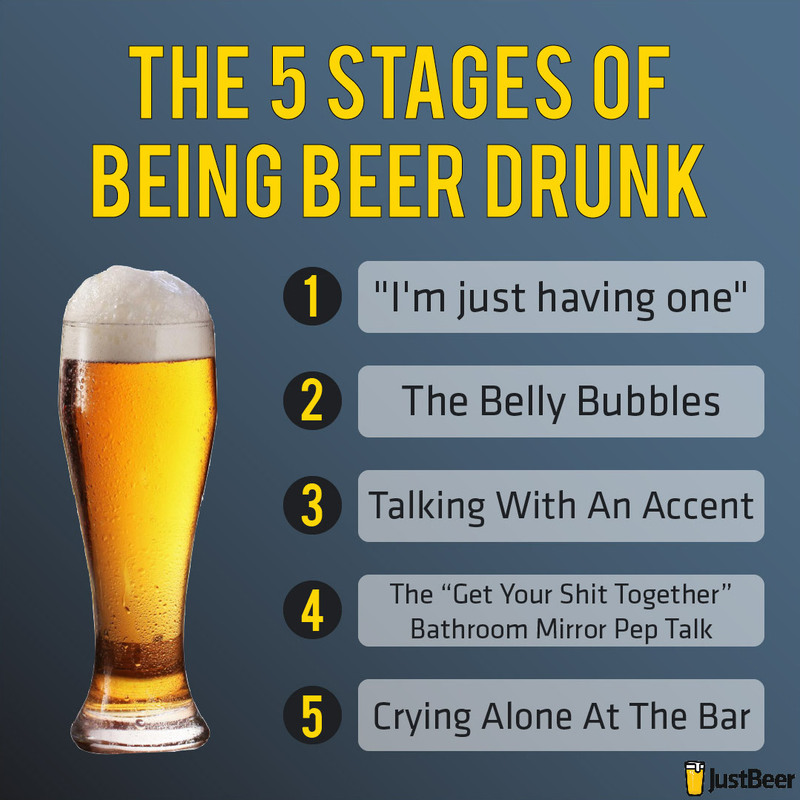 Check out the 5 stages of being wine drunk here. Sometimes, you don’t even realize how drunk you actually are until you get up to go to the bathroom and take a look in the mirror. It’s ok! You’re no even that drunk (You are.). You look fine. (You don’t.) You can do this! (You can’t.) Get back out there and order yourself another drink! It’s almost last call. Your friends have left and you’re sitting all alone at the bar. I thought you were “just having one”? Wait, why are you crying now? It’s time to go home with whatever dignity you have left. Scorpios are brave, resourceful and tend to stray away from the ordinary. Of the water signs, Scorpios have a strong personality and you’re assertive. For a free-spirited Scorpio, what is the perfect beer match? These are some awesome tricks and if you learn’em well, they could win you some free drinks. Give’em a go! Japanese artist, Makaon has been meticulously shaping, bending, and crafting aluminum cans — mostly Japanese beer cans — into some of the most iconic Pokémon.